As I was contemplating what I was going to do about the failed seatpost from last time, a piece of 1.125" tubing magically appeared in the scrap bin at school the perfect wall thickness to make a seat post from. I had an idea for a movie about a guy with the super power to make anything appear out of dumpsters called "Any Dumpster, Any Thing". I felt in this instance I had used this power of scrap alchemy. I've neglected posting some plant photos, so I took some of the downstairs garden. It turns out my camera can do some decent night shots using the flash (and a flashlight to aid). I don't have any upstairs photos this week as my camera's battery refuses to charge (I'm literally walking around with an extension cord when I use it). I ordered a replacement already so normal photo taking can resume shortly. I will be posting photos of the observed growth from the DWC system I built back home. 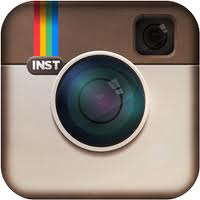 The most recent photos will be at the top of the page. 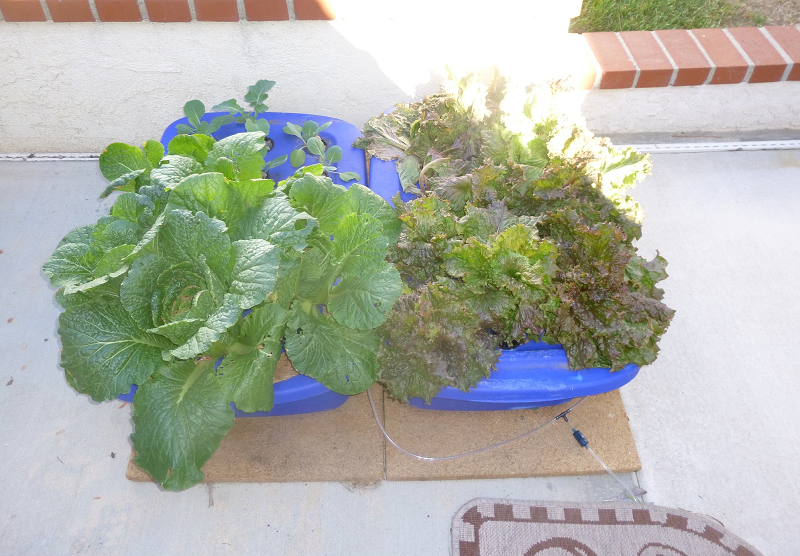 Currently in the system are Napa cabbage and red lettuce. As the Napa cabbages are being harvested, they are being replaced with broccoli and other cabbages. This week's view of the system looks nearly the same as last week. The cold weather might be inhibiting growth. 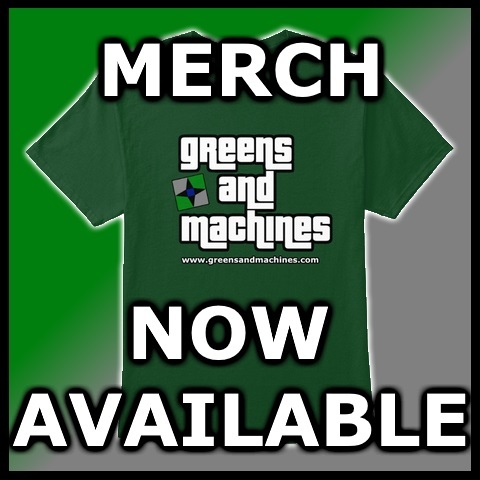 Quick update to viewers who might be being redirected from the blog; I purchased a domain name, so we are now officially greensandmachines.com. I'd like to thank all the viewers for being with me every step of the way. We're back in action. I had to bang on some pots and pans to wake everyone up today. This time we're making an English brown ale to test our new mash/lauter tun setup. Additionally, we have purchased Star San, a concentrated solution of phosphoric acid, to sanitize our equipment. After the infection of our last batch, we aren't taking any chances today. I originally tried to make the teeth of the wood center out of some 3/4" stock, but I drilled the center hole too big and accidentally messed up the drive teeth by a combination of not hitting my dimensions or using a faulty indexing head. I decided this time I would just make it out of a square shaped stock with bigger diameter. I turned it down to 13/16" and drilled a smaller center hole. This way, there would be more room for the teeth. Next I went to the milling machine and put it in a vise and milled the teeth one at a time with an end stop on the other end. Since the end was squared previously, I could mill the teeth perfectly timed 90 degrees apart. Also this setup was much more rigid than a rickety indexing head. I utilized a left handed endmill so I could cut the direction I wanted without climb-cutting. As part of our brewery renovation campaign after our last batch got infected, we decided to do away with the brew-in-a-bag method for all grain brewing and build an actual lauter tun. 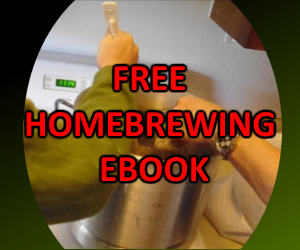 We watched a video showing different methods and devices used for a lauter tun. Some options included buying 5-10 gallon water coolers. We opted to use three 5 gallon buckets to build ours (known as a zapap lauter tun) since we are cheap. Remember, remember the 5th of November. Well I'm not too much for a revolution, unless it's a food revolution. Anyway, now that all my parts from Hong Kong have arrived, I can run the pump without fear of water siphoning back into it (check valves arrived). It has been incredibly windy this week, so I've had the misfortune of some leaves being ripped off lettuce/bok choy. I was impressed by the flavor in the severed leaves though. I had intended to make a new seatpost for my bike because the original one wouldn't go high enough. My bike's frame is almost 10 sizes too small for me, but I've been able to manage by getting a stem extender and raising the saddle as high as it would go. So high, that the minimum insertion line was exposed, and it still felt too low. I was planning on finding some tube to turn one down from until I found some conspicuously shaped tubing for free on the streets. They were about 4 feet long 1" tubes that were reduced to 7/8" on the ends. 7/8" just happens to be a standard dimension for saddle attachment hardware, and 1" happens to be a standard seatpost dimension. The problem is, my seatpost is a 26.4mm (actual dimension 1.037" or 26.3mm) which meant I would need to make a shim. After seeing the success of the system I built back at home, I decided that aeration was necessary for the system on my balcony. 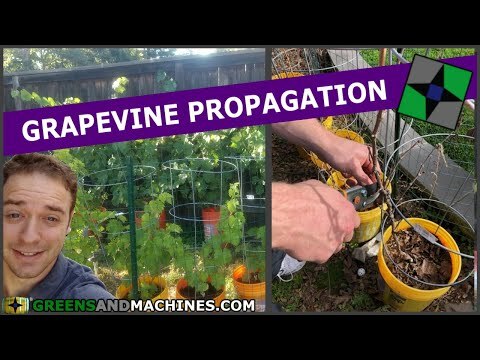 Previously, the plants sat in a static nutrient solution (known as the Kratky method). I added in a pump with 2 air stones to each of my growing bins. In my recent raids on the scrap bin at work, I found several R-8 shank blanks. These are for making your own custom tool holders to go in the milling machine. Since I only bought collets to hold 3/8" and 1/2" tools for my machine, this is the perfect opportunity to make holders for the other sizes as well as other things like slitting saw arbors and boring head adapters. No sense leaving them all sit around looking like pepper grinders.